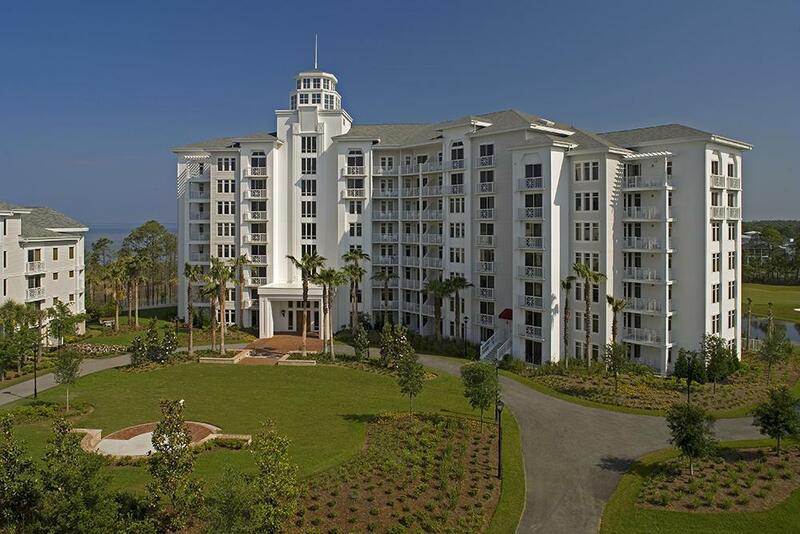 Located in the Village of Baytowne Wharf and on the very convenient lobby level of the Elation building, this resort retreat overlooks the golf course and lake. Rated 'A' on the Sandestin rental program, decorated and designed with a contemporary feel, this property is prime for year round rental activity with a quiet location within a short distance to The Village activities. Enjoy an open floor plan, community pool area, covered parking, and owners closet located on the garage level. As an owner at Elation, you will enjoy access to the private Solstice Club where you can entertain while taking in the breathtaking sunsets on the Choctawhatchee Bay. Elation owners enjoy private access to the Grand complex amenities including the heated resort style pool, fitness center, and Ballyhoo Bar.